Lite-Steer is not exclusively for use on VW campervans. An increasing number of classic car owners are contacting us with power steering requests. These projects are exciting, sometimes challenging but we always enjoy seeing the difference that Lite-Steer makes to classic car owners after installation. As always, our greatest concern is to retain the integrity of your classic vehicle. We want to make improvements without decreasing the value of the car. 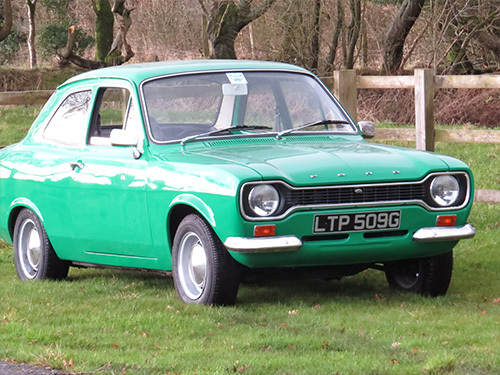 Have a look at our growing number of classic car projects. If your vehicle is not listed but you are considering fitting power steering why not give us a ring. We’d be happy to discuss your requirements to see if we can help. Please note, VAT will be added at 20% for UK and EU customers. EU customers are exempt if able to provide a VAT number). VAT will not be added for customers outside of the EU. "Just got back and still in shock as to the difference the power steering makes. Parking is no longer a chore and the overall driving experience is so much more relaxing. Thanks very much for your speedy and efficient service and resolving the issue with the speedometer. My only concern is the reduction in steering effort means I will have to join a gym to keep fit!"